I get this question a lot and figured I’d ask someone with your knowledge… Do you think pepper spray or a stun gun is more effective in self defense? Neither is guaranteed. Stun guns are illegal in some states, and pepper spray is illegal in Canada (I found that out the hard way). With pepper spray, if it is in accessible, i.e., buried in your pocket or pocketbook, it’s no good. It must be fresh and tested periodically. When you use it, it must be handy and facing in the right direction. If it is facing towards you, you wouldn’t be the first to spray yourself in the face, which is not helpful. There are many brands and sizes, and when it comes to pepper spray, I think the bigger the better. Although unwieldy, the canisters designed for bears are probably best. Some can spray about 14 feet, and those are good, because that’s a pretty safe distance from your attacker. As for stun guns, I have no experience, but if they are legal in your state, I would opine that they are promising. But again they are not a guaranteed solution, and they must be tested and practiced with. That’s why Krav Maga is best, it works bare-handed, on a moments notice and can’t be facing the wrong way. 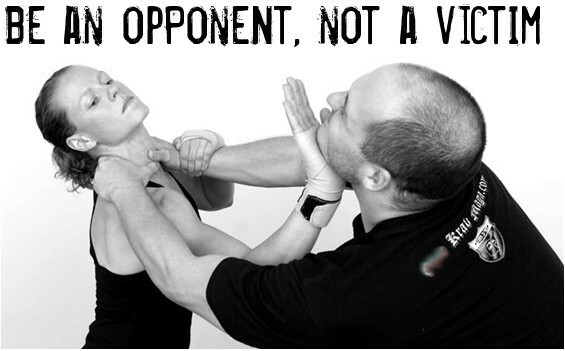 But any advantage you can get, like pepper spray or a stun gun is warranted in a real self-defense situation. Anything worth fighting for, such as your safety, is worth fighting dirty for!